Those little balls of loose fabric seem to really collect around the underarms, or where the bottom of my arms rub against the side of my sweaters. So what I do is leave them on the hanger and never wear them because I’m lazy. Mostly because I didn’t know how easy they were to remove! 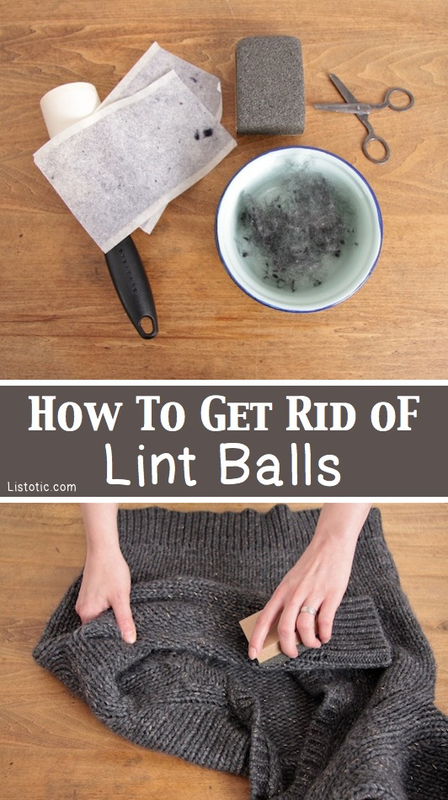 Just rub your pill infested sweater with a pumice stone, and then use a lint roller to pick them up. A disposable razor also works well on tighter knit fabrics. 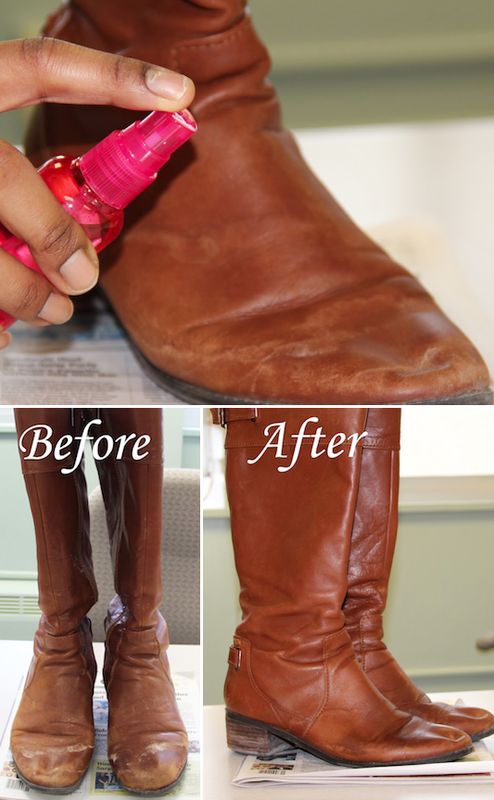 Those white marks on your boots, turns out those are salt stains! This is a problem if you live in the north where the roads and walkways are covered in salt. With just a couple of ingredients you probably already have at home, you can make them look as good as new! Check it out here. There are maybe hundreds of ways you could potentially tie a scarf, but let’s be honest, you only need a few of your favs. I love this one because it’s easy but looks like you actually have a sense of style, AND it stays put! 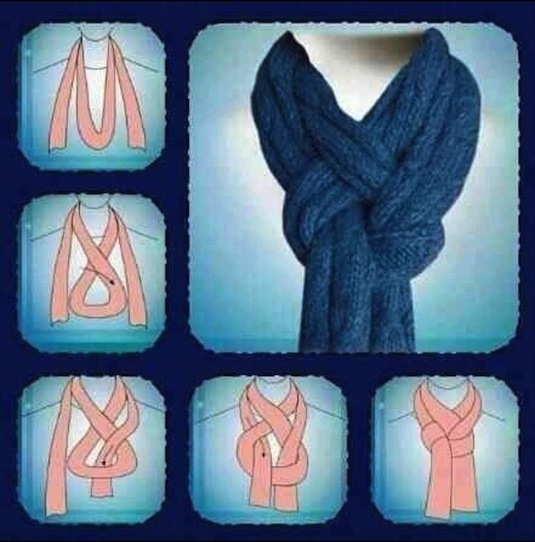 Just try it once and you will always tie your scarves like this.